The New Jersey Supreme Court on Wednesday ruled the dinner meeting of the three friends, two judges and one indicted commissioner of the Passaic Valley Sewerage Commission, at a Woodland Park restaurant violated the Code of Judicial Conduct. New Jersey Superior Court Judge Raymond A. Reddin and Paterson Municipal Court Judge Gerald Keegan dined with one-time sewerage commissioner Anthony Ardis who was facing misconduct charges in 2011 for having commission employees do work at the homes of his friends and relatives. “By socializing in public with” Ardis “who awaited trial on criminal charges, in the very courthouse in which” Reddin and Keegan “served as a criminal judge, both Judges in this matter reasonably called into question their impartiality and weakened the public’s confidence in the judicial system,” reads an unanimous Supreme Court opinion written by Chief Justice Stuart Rabner. Reddin, Keegan, and Ardis have been meeting at the restaurant every Thursday since 2010. Reddin and Ardis have been close friends for some 50 years. Keegan and Ardis have been friends since 1985. A three along with others met for dinner on Thursday September 13, 2012 when they were spotted by a resident. The individual knew Ardis was under an indictment as did the judges so he wrote an email to Lieutenant Governor Kim Guadagno to complain. Guadagno’s office forwarded the complaint to the Division of Criminal Justice which investigated the matter. Subsequently, the case was referred to the Advisory Committee on Judicial Conduct which found the judges gave “an appearance of impropriety that had the potential to weaken public confidence in the integrity and impartiality of the Judiciary” by meeting with Ardis at a public restaurant. The advisory committee conducted formal hearing on March 25, 2014 to interview both judges finding “no improper motive on the part of either judge” on June 11, 2014. However, the committee found the judges violated the code of judicial conduct by meeting with Ardis. “Based on several mitigating factors – including the Judges’ unblemished judicial careers and their voluntary decision to stop attending the dinners – the ACJC recommended the least severe measure of public discipline, a public admonition,” wrote Rabner. “Each Judge has an unblemished record and neither engaged in actual impropriety,” states Rabner. Based on the judges records, the court declined to sanction Reddin and Keegan. 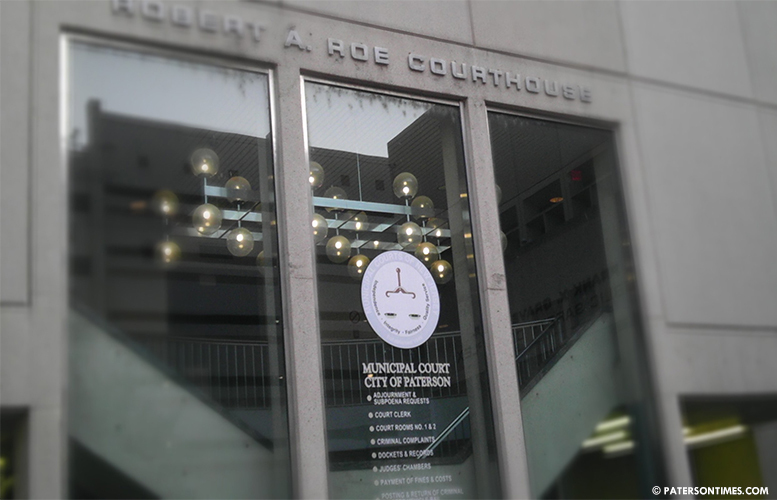 Reddin has been judge at the Passaic vicinage since 2003 assigned to the Criminal Division. Keegan was appointed to Paterson Muncipal Court in 2004.